As spring nears and my warm-weather dresses get a little more play, I’m taking body scrubs a bit more seriously. Nothing says spring and sun more to me than Organic Bath Co’s SubLime Organic Body Scrub, an organic body scrub made with Fair Trade-certified sugar and coconut oil. I added Organic Bath Co’s scrubs to my “favorites” list a few months ago after zipping through two scrubs: this one and the Java Jolt. While coffee scrubs are a bit more popular (and let’s face it, way messier in the shower), I took to SubLime because of the refreshing yet sweet scent combination of coconut lime. It’s like a pina colada for your entire body — but doesn’t pack on any pounds. 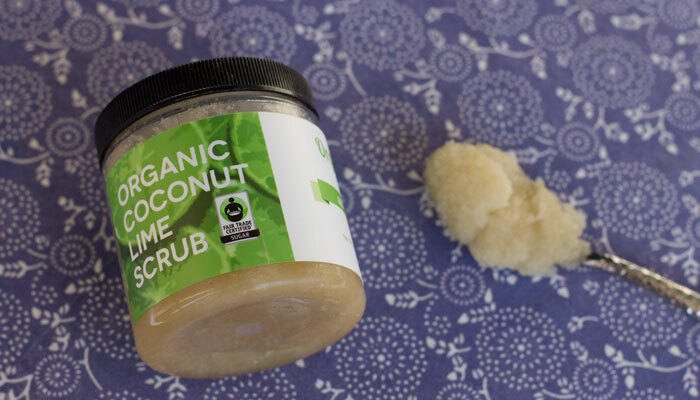 In addition to super-thick coconut oil, Organic Bath Co’s SubLime Organic Body Scrub also softens skin with shea nut oil. After scrubbing down your body with this medium-thick sugar scrub, you don’t need to apply a separate body oil or lotion. The residual oils post-scrub soothe and smooth your skin, keeping them lush and shockingly smooth. Short, sweet and to the point? Of course, you will note that Organic Bath Co. doesn’t give the exact blend of essential oils used in SubLime, but rest assured that this brand uses on th best certified organic ingredients. When it comes to body scrub ingredients, though, the real dealbreaker is sugar. It’s not about certification (though organic is preferred) as much as it’s about texture. 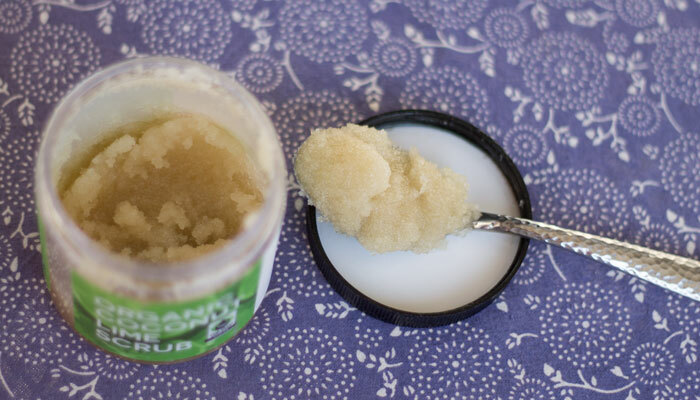 Have you ever tried homemade sugar scrubs? I have (and I have made them myself in a pinch), and they feel…well….homemade. There are so many different textures and grains of sugar, and massaging huge sugar crystals all over my body just doesn’t feel good. I like a medium to fine grain scrub that locks in the nourishing butters and oils and helps move the moisture around while exfoliating. Organic Bath Co does a tremendous job of offering a medium-grain sugar that feels substantial yet dissolves easily. And that — in addition to the fun scents like SubLime that are available — is why Organic Bath Co’s body scrubs are on my repurchase list. What texture do you prefer in your body scrubs? What are some of your favorite body scrub lines? Have you tried anything from Organic Bath Co? Tell me in the comments section!